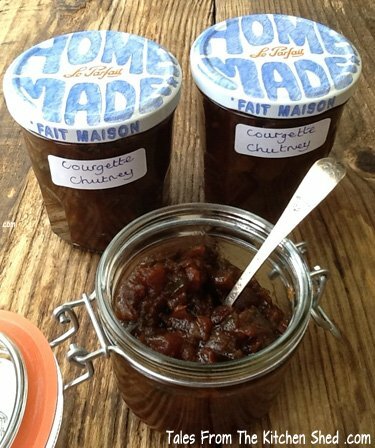 I thought I’d share with you another of my recipes for preserving courgettes, Spicy Courgette Chutney, one I made for the local Christmas Market here in Brittany. 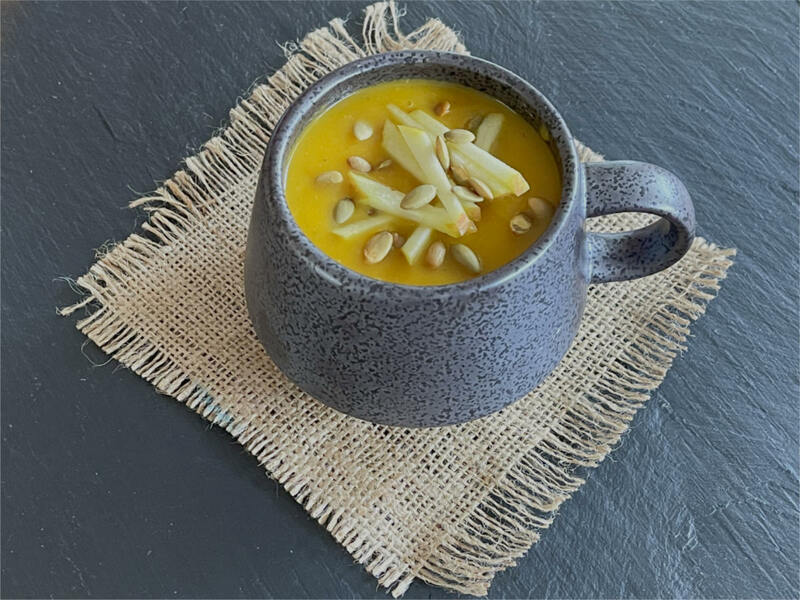 It’s a delicious chutney spiced with coriander, ginger, mustard seeds and a touch of chilli – the chilli content isn’t blow your socks off hot and you can add extra heat or tone it down as you prefer. Chutneys are a great homemade Christmas gift because they improve with age and partner perfectly with Christmas cheeses and cold meats. I’ve made enough Spicy Courgette Chutney to go in the Christmas hampers for our family and friends. 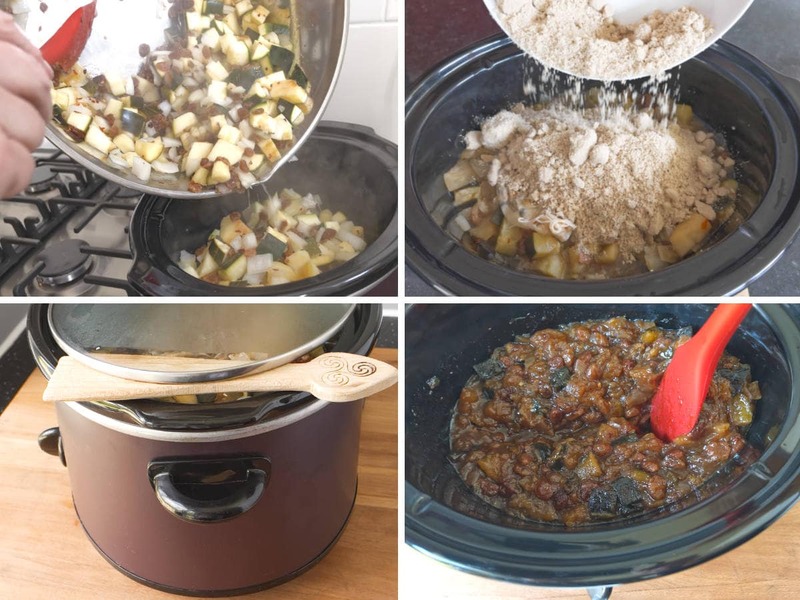 I made Spicy Courgette Chutney in the slow cooker as it’s the ideal tool for the slow process required when chutney making and there’s no need to worry about your chutney catching on the bottom of your pan or drying out too much. That said, don’t worry if you don’t have a slow cooker because I’ve included instructions for making in the conventional way using a preserving pan too. 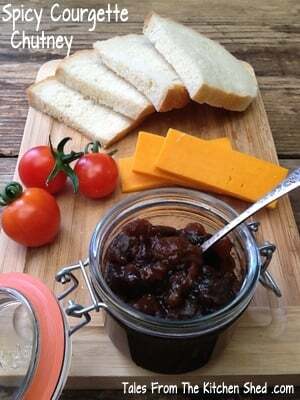 Spicy Courgette Chutney is delicious with cheese, cold meats & perfect for a cheese & pickle sandwich. Spiced with coriander, ginger, mustard seeds and a touch of chilli. Instructions are included for the slow cooker and conventional cooking. Dice your courgettes into fairly small pieces, not too small or they will disappear. Discard the inner seeds but leave the skin on if you are using medium to small courgettes; you may need to peel large courgettes as the skin will be too tough. 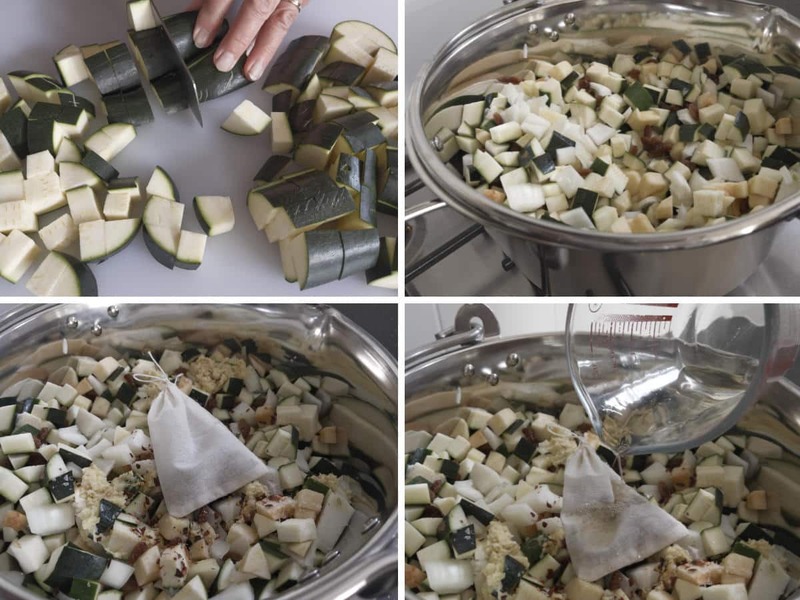 Peel, core and dice your apples into roughly the same size as your courgettes and add to the pan. Peel and dice the onions into roughly the same size as your apples and courgettes and add to your pan. Add your sultanas, chilli flakes, sea salt and grated ginger to the diced veggies and apples. 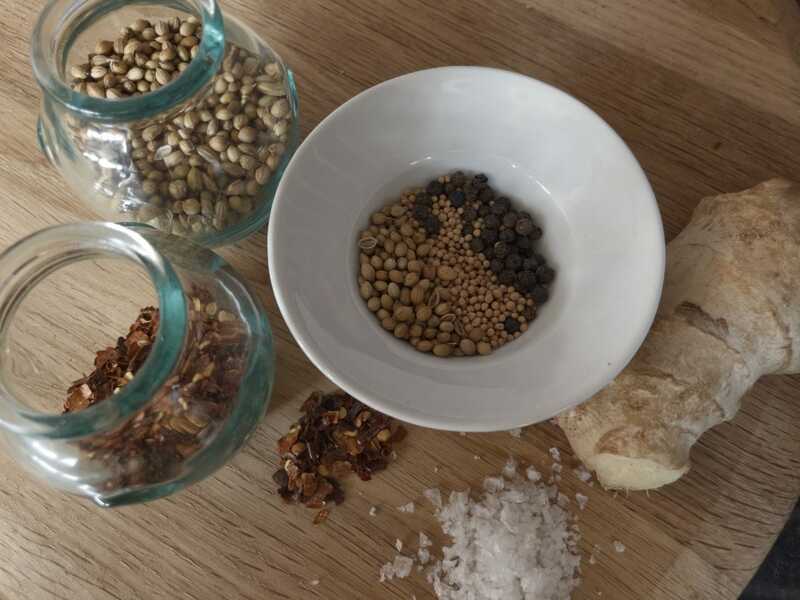 Make your spice bag by tying up the spices in a large muslin square or ready made bag and add to the pan. Pour in the cider vinegar and give it a good stir. Cover with a lid and bring slowly to the boil, stirring occasionally. Remove the slow cooker lid, add the sugar and stir. 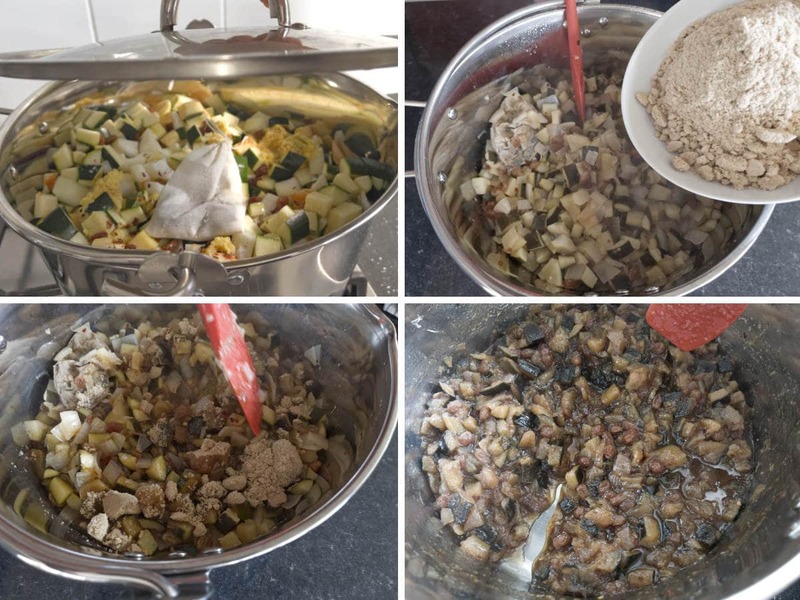 Spicy Courgette Chutney is ready when the liquid has reduced and the courgettes and sultanas look plump and glossy, see photos. Remove the lid and take off the heat. Stir in the sugar. 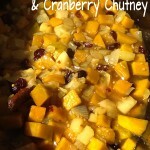 Return the pan to a low heat and let the chutney mixture simmer for at least 1½ to 2 hours. You don’t need to watch the chutney like you do jam but you do need to keep an eye on it and stir it every now and then to prevent it sticking to the bottom of the pan. Spicy Courgette Chutney will keep for up to a year. I’ve just made this, but there’s lots of ‘juice’ left in the slow cooker. And it’s not looking particularly sticky 🙁 will it thicken on cooling?! Hi Claire, it may thicken a little but it might be a good idea to cook it for another hour or so with the lid propped open. Slow cookers do tend to vary with their cooking times so perhaps yours takes a longer cooking time. The courgettes vary in water content too so this might effect cooking time too. Hope this helps and do let me know how you get on. Thanks Hayley, hope you enjoy the courgette chutney as much as we do. I just love your stuff! 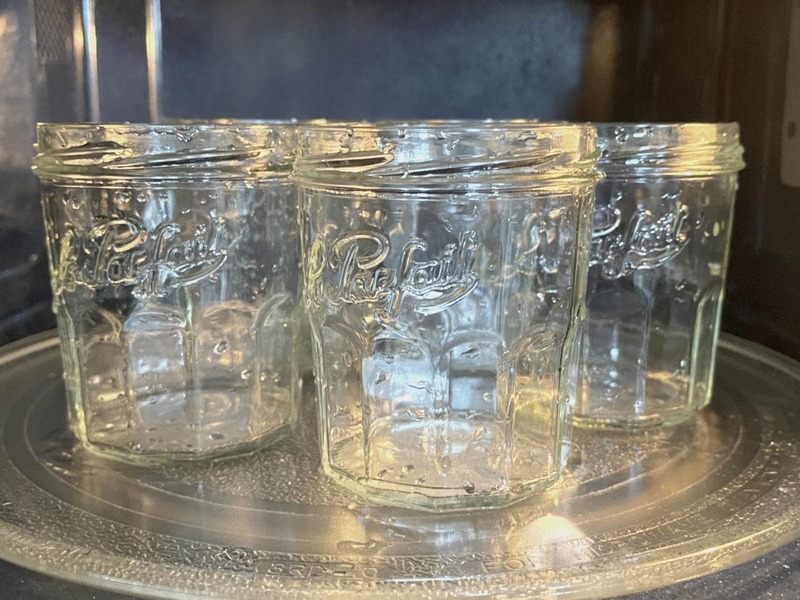 I am going to try canning salsa this year as I have an over abundance of tomatoes and peppers in my garden. Thanks so much for sharing your beautiful recipe with #foodpornthursdays! Thanks Prachi and you’re most welcome. This looks amazing! I tried courgette chutney for the first time this week, and it was incredible with all sorts of cheese varieties. I will definitely be making your chutney! I think that might be a Christmas pressie for friends and family! 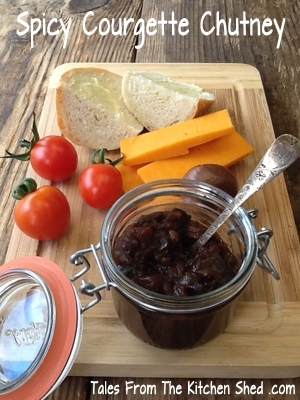 I love the fact that you are making chutney for Christmas presents! Is a courgette the same as a zucchini? I am always looking for ways to use zucchini, since it is so plentiful. This chutney sounds delicious. Thanks Jenny, my family look forward to their Christmas hampers, I offered to buy presents one year but they all said no. Courgettes are the same as zucchini, I think I’ll start putting both names in a recipe now I’m linking up with Fiesta Fridays. Courgette was something that I had never heard about until I started blogging. This recipe looks amazing and I love all of the ways that it can be used!